The Fuzhou Min Dong Chinese, or Eastern Min Chinese, originated from the eastern Fujian (Fuzhou) province. The coastal area of Fujian has been the historical homeland of a large worldwide diaspora of overseas Chinese. As a result, Fuzhou Min Dong have migrated to the United States, especially in their Chinatowns in larger metro areas. For instance, the New York metro area, especially Little Fuzhou, Manhattan; Sunset Park, Brooklyn; and Flushing, Queens have all become home for the Fuzhou Min Dong Chinese. Often they entered the United States illegally, settled for while in New York's Chinatowns, then boarded Chinese run buses to work in Chinese restaurants that are scattered throughout the United States. There are more than forty thousand Chinese restaurants in the United States. Many have Fuzhou Min Dong workers. Most restaurants are family operations, staffed by immigrants who pass through for a few months at a time, living in houses and apartments that have been converted into makeshift dormitories. The restaurants, connected by Chinese-run bus companies to New York, Chicago, and San Francisco, make up an underground network—supported by employment agencies, immigrant hostels, and expensive asylum lawyers — that reach back to villages and cities in Fuzhou, which are being abandoned for an ideal of American life that is not quite real. In the Fuzhou province of China, the Fuzhou Min Dong have been more receptive to the gospel than other Chinese peoples. Some of them migrated to the United States. However, the majority of Fuzhou Min Dong people adhere to Mahayana Buddhism and Chinese religion which is filled with Buddhist ritual practices, a Taoist philosophy toward life, Confucianism's teachings, and ancestral veneration. Pray that God will send evangelicals to share the gospel of Christ both in word and deed. 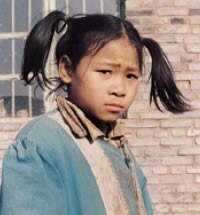 Pray that God will break down social walls and religious barriers among Min Dong Chinese that prevent them from understanding and receiving the message of Christ. Pray that Christians who frequent Chinese restaurants will be intentional in becoming friends and meeting the needs of Fuzhou Min Dong workers both in word and deed of the gospel message.